The bus took us from Roma, east and into the mountains. We slid into the low-lying hills as they backed up into the Apennines –the spine of the mountain coursing down the center of Italy. Gran Sasso loomed highest of all. Black granite and snow-capped peaks. The sky darkening. 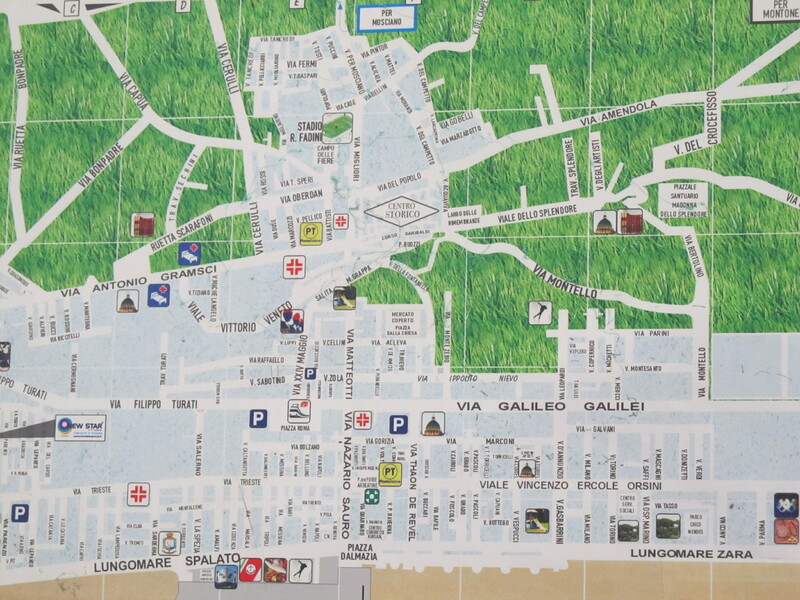 We started to see the signs for Giulianova –our destination on the beach. We drove through a crane-ridden city, Acquila which needed rebuilt after a seisma, an earthquake. 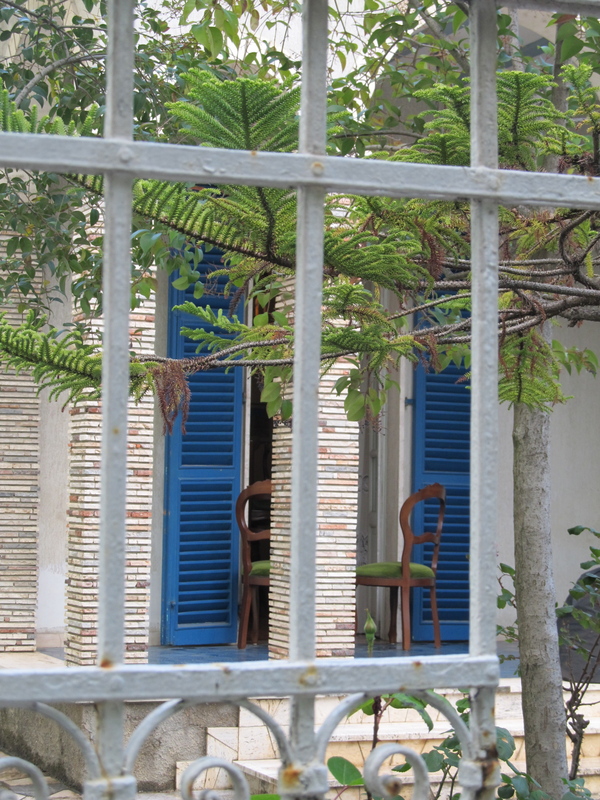 There were poppy fields through Abruzzo, arms of grey green olive trees grasping, closed fists, open fists to the sky. Our bus drove through Mosciano, a dusty road right before the train stop in Giulianova. I could imagine my grandfather taking this trek, stepping out into the city from here with my great Uncle Tom forty years earlier. Lucky for them, they knew where they were going. 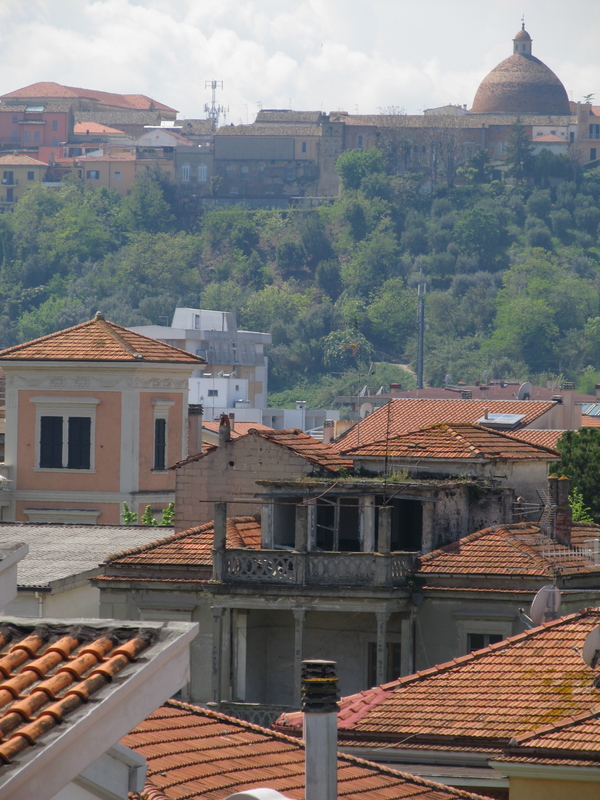 A view of the ancient city above sea-side Giulianova. Also the view I enjoyed from within the Adriatic Sea.